Browsing history on Mozilla Firefox is always stored until you delete it. The sites you visit, the information or files downloaded, every tiny bit of activity on Firefox is saved in history. If you are using a public computer or a shared device at home, you might definitely want to avoid others from checking out your history. The best thing to do is to delete all the browser history so that no one can track your moves on the Internet. The following article will share with you some information that will help you learn how to clear browser history in Mozilla Firefox. The browser history includes browsing and download history, form and search bar history, cache, cookies, active logins, offline website data, and site preferences. You can clear the entire browsing history including cookies, active logins, etc. or just clear certain things in your history. 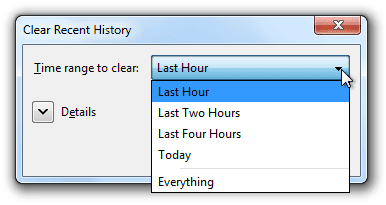 Mozilla Firefox also has an option to choose how much history to clear from a certain time period. How to Clear All History in Mozilla Firefox? Click the menu button (three vertical lines) and select History and click on Clear Recent History. You can select the Time range to clear from the dropdown menu and Firefox will clear accordingly. Now, click on Details and select the information you wish to clear. Once you select all the information to clear, click on Clear Now and all the items in the history of Mozilla Firefox will be cleared. 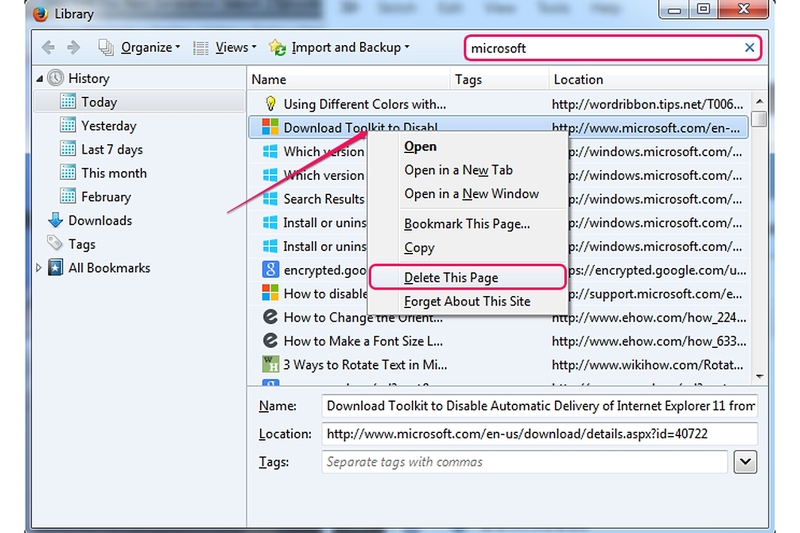 How to Remove Single Website from Browser History? Go to the Menu and click History. Select Show All History and open the Library window. Look for the website you wish to delete or type its name in the Search History. Click Enter. Right-click on the site and select Forget About This Site. All information that includes cookies, cache, active logins, passwords, saved from data, images, pop-ups, and other information will be deleted. 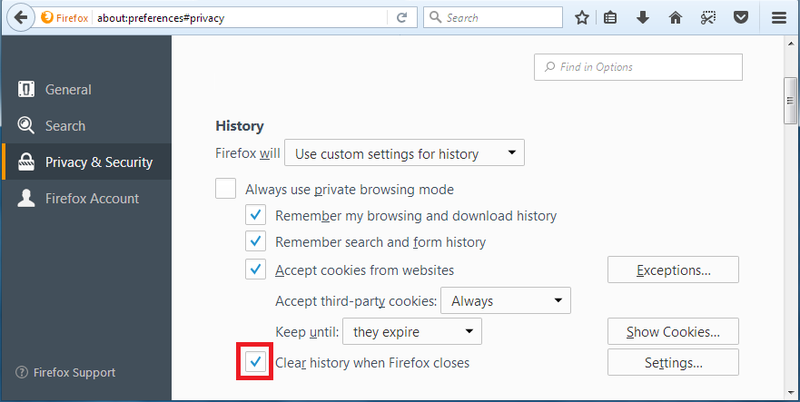 Can I Delete My Mozilla Firefox History Automatically? Yes, you can. Mozilla Firefox has a setting that allows it to clear history itself, in case you forget to do it yourself. Go to the menu click on the Tools and go to Options. Choose Privacy & Security and go to History. 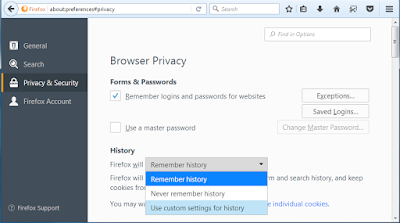 In the drop-down menu near Firefox go to Use custom settings for history. 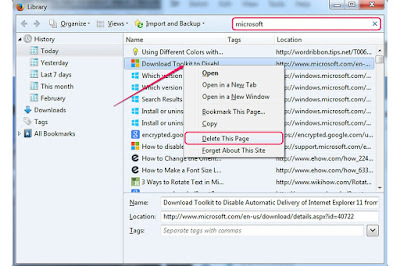 Check on the box Clear history when Firefox closes. 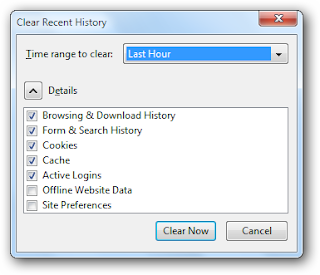 You can specify the type of history to be cleared from Settings button near Clear history when Firefox closes. In the Settings for Clearing History, select the items you need to clear automatically every time you close Firefox. This includes Browsing & Download History, Cookies, Active Logins, Cache, and Form & Search History. You can even choose Site Preferences as well as Offline Website Data. Click OK and close the windows. All changes will be automatically saved. 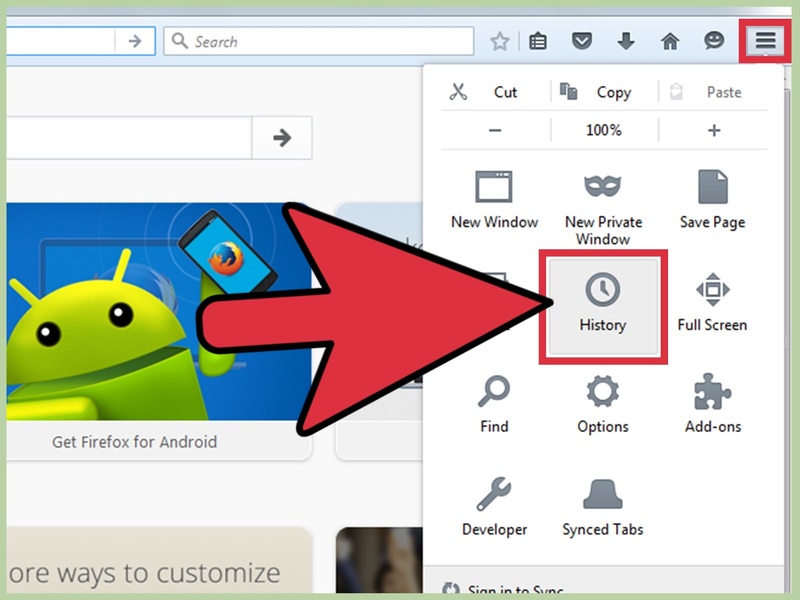 This is all you need to do to clear browser history in Mozilla Firefox.